With plenty of motivation from all the inspiration I’ve had lately, I dug into a project I’ve had on the back burner for almost six months. 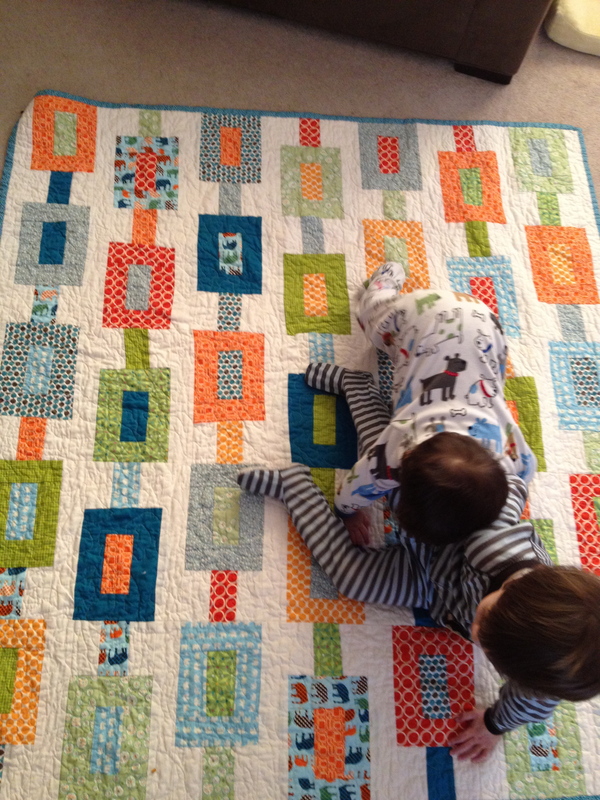 I finished a quilt for Eli back in January, but I have yet to make one for Miles. 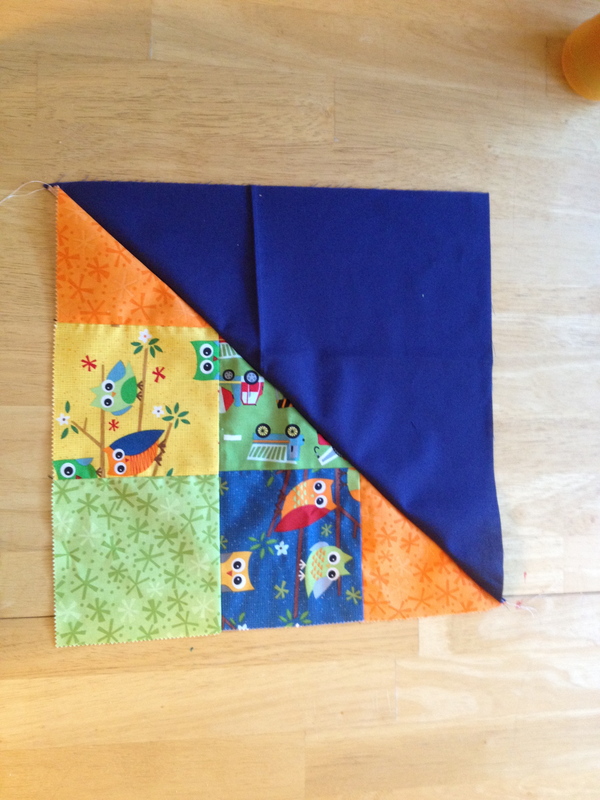 I got some charm packs and a great tutorial, but making nine-square blocks got tedious and I set it aside in favor of quicker (and sometimes paying!) projects. Now his birthday is approaching and I’ve got the momentum to finally pull this top together.